The book for the meeting is Listy na wyczerpanym papierze, a collection of letters by Agnieszka Osiecka and Jeremi Przybora, published by Agora in 2010. Osiecka (d. 1997) was a poet & lyricist very popular in Poland due to her authoring lyrics to innumerable Polish hit songs. Jeremi Przybora (d. 2004) was also a lyricist, known for his collaboration with composer Jerzy Wassowski. Club meetings are in Polish. Leavenworth International Dance Festival on July 25 & 26 features a great variety of folk dance troupes representing many nations, especially different European countries. The Polish Cultural Center group Young Polanie will present an hour long program that includes a medley of songs and dances from the Cracow & Slask regions of Poland on June 25. This is the 33rd International Dance staged by local clubs representing several Central & East European nations. Semi-formal attire, delicious ethnic food, live music and entertainment. Doors open at 6:30, dancing starts at 8 pm. Soft drinks available all evening. This event is co-sponsored by the Polish Home Association. Polish Film Club presents movie Big Brawl (aka Big Bust) / Wielka wsypa directed by Jan Lomnicki in 1992. This is an action packed film showing the hustle and bustle of the transformative years in Poland in late 1980s and early 1990s. Starring Jan Englert as a brazen financial crook Bronko and Krzysztof Wakulinski as a colonel of security forces who reinvents himself as his business partner in crime. Polish Cultural Center invites everybody to a performance by a Polish cabaret from Vancouver, BC, Kropka nad i (in Polish). This classical cabaret group is led by Mrs. Krystecka. The program includes several songs composed by Ryszard Wrzaskala, a notable pianist and composer based in Vancouver, BC who also leads the band. The restaurant & the bar will be open for the event. Polish Cultural Center presents The Legacy of Paderewski concert with pianist Piotr Kosinski. Mr. Kosinski, 21, is a young pianist star from Poland and the the winner of the 2011 International Ignacy Paderewski Piano Competition in Los Angeles. The concert includes works by Chopin, Szymanowski, Liszt and Paderewski. The Consulate General of the Republic of Poland in Los Angeles kindly informs that the consular visit to Portland to process passport applications and to handle other issues that require Polish citizens to talk to a Polish Consul in person will be on June 13 & 14, 2011. The visit is coordinated by Mrs. Dorota Zukowska. Reservations are required to talk to the Consul. Polish Cultural Center invites everybody to a late Memorial Day celebration honoring Cpt. 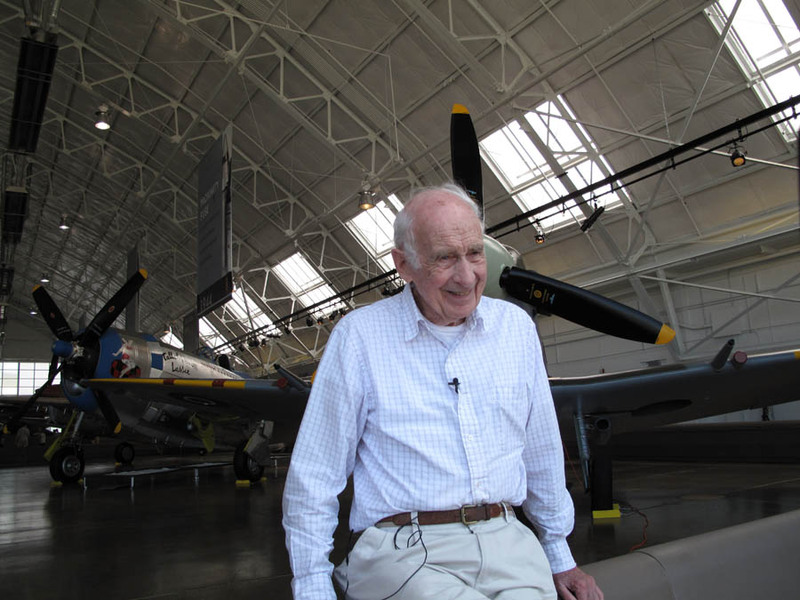 Witold (Alex) Herbst, a distinguished WWII fighter pilot. Consul General of the Republic of Poland in Los Angeles, Hon. Joanna Kozinska-Frybes will attend the event. Cpt. Herbst served in Great Britain with the RAF squadrons 308 & 303. The program includes a short documentary about Mr. Herbst. There will be a reception after the ceremony. Update: Mr. Herbst has been decorated with the Cavalier Cross of the Order Polonia Restituta; the Order is awarded by the President of Poland. The Centennial Concert concludes two days of celebrations of the 100th anniversary of the Polish Library Building Association in Portland. In part I of the concert, local pianist J. Isaac Chua will play Bach, Chopin, Ravel, Rachmaninov and Beethoven. In part II, Polish-Canadian composer and pianist Ryszard Wrzaskala will perform his compositions with invited guest vocalists. More: Portland Polonia or click on the logo to see the poster info. The Polonia in Portland is celebrating the 100th anniversary of the incorporation of the Polish Library Building Association - the organization that owns and operates the Polish Library / Polish Hall in Portland. The program includes reception from 5 pm, a group picture at 5:30, official ceremony and dinner from 6 pm, and the centennial Ball starting at 8 pm with a traditional polonez. The Seattle International Film Festival presents the feature film Venice directed by Jan Jakub Kolski. Mr. Kolski is an award winning Polish director whose movies are regularly presented at the Seattle Polish FF. Venice is a story of an imaginative boy whose dreams of going to Venice are shattered by the realities of WWI. The Seattle International Film Festival presents feature Tomorrow Will Be Better / Jutro bedzie lepiej directed by Dorota Kedzierzawska. Ms. Kedzierzawska caught international attention with her movie Time To Die / Pora umierac (2007). Tomorrow will be better is a story of three young Ukrainian boys, age 6 to 11, who escape home to go to Poland seeking a better tomorrow. Polish Canadian Sports & Recreation Club Polonia invites all kids and parents to the Kids Day Festival with games and activities for kids of all ages. The Club invites also all children to an open arts competition Sports in Kids Imagination with the finale at the Festival. The arts competition is sponsored by the Consul General in Vancouver and is open to kids in the state of Washington. 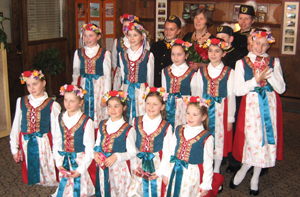 As is the tradition, the Polish Cultural Center folk dance youth group Young Polanie will perform at the St. Anthony Parish Festival in Renton. If you haven't seen the group in action, this is your chance. Polish Home Assn. invites members and friends to a ceremony honoring the memory of Jan Cieslar. Mr Cieslar was the pillar of the Polish community in Seattle for almost three decades after WWII when he arrived here with his family. He served as a longtime PHA president and also created and ran the Polish School in Seattle for many years. He was one of those key people to whom we owe our gratitude for the continuing existence of the Polish Hall in Seattle. A reception with vodka-tasting will follow the ceremony. City Hall Galleries present Performance / Art, an exhibition by a quartet of Seattle based photographers, including Gabriel Bienczycki. The exhibition photographs capture the essence of performances art in incredible lush images that both show the art and are the art. Mr. Bienczycki trained for ballet and modern dance but works as a photographer, cinematographer and audio engineer. The University of Washington Club presents Grey Land, a painting exhibition by Kazimierz Poznanski. The exhibition includes over 20 paintings, most oil on canvas and some on rice paper, depicting mostly Northwest landscapes. Mr. Poznanski is a painter, a poet and a Professor of Economy at the Univ. of Washington, with interest in Chinese art. He has had exhibitions in US, Canada and China.